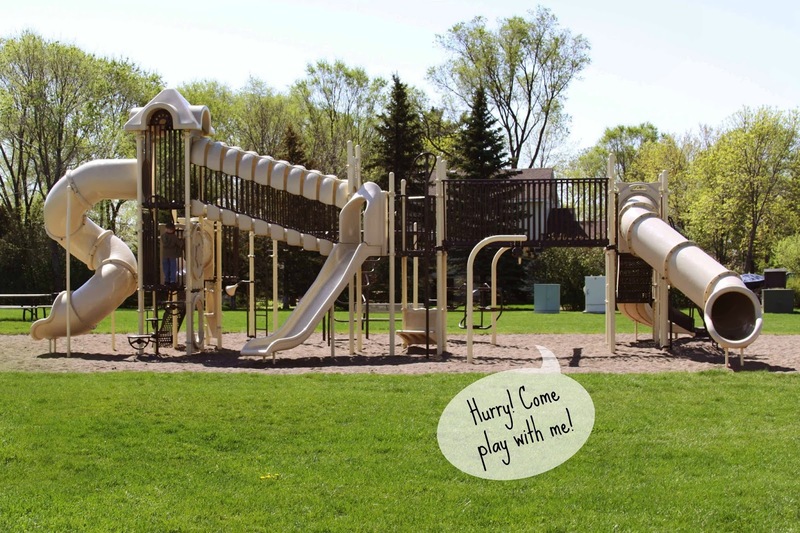 Now that school is out and summertime is here, there's no doubt that families everywhere will be spending more time enjoying the great outdoors. After all, if you live in an area like we do here in the Midwest, you make every effort to spend time outside when the weather is nice since you always have nagging feeling of the next upcoming winter looming in the back of your mind! However, the next time you're planning for a day at the park, it might be easy to mistakenly leave some necessities behind. After all, if the kids are anxious to get out the door and you're just happy everyone has made a trip to the bathroom, then you might be tempted to just pull on your shoes and go. 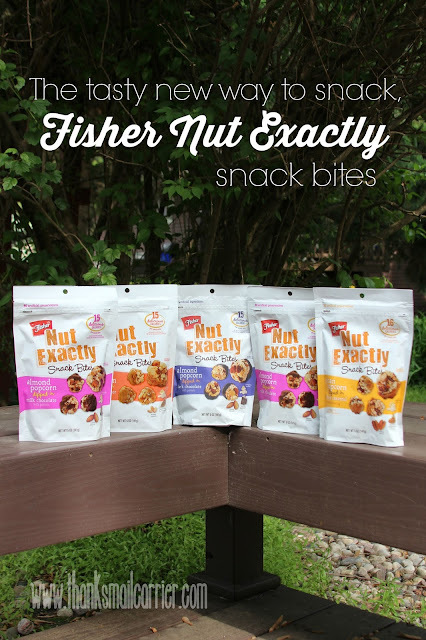 I'm sure you have your own additions and alterations to this list, however, let me introduce you to one way to keep everyone happy when packing those snacks: Fisher's new snack product, Fisher Nut Exactly snack bites! 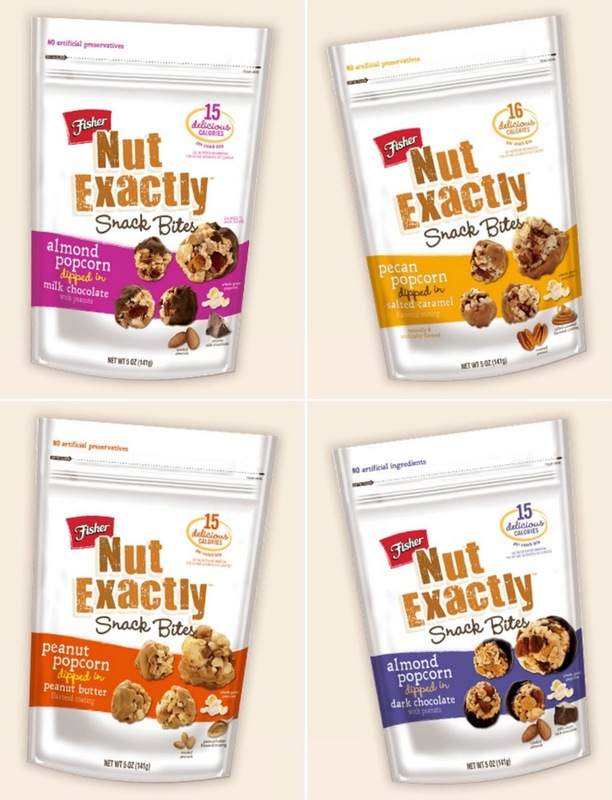 Launched at retailers nationwide this month, Fisher Nut Exactly snack bites are the newest innovative snack product from the geniuses that already bring us the snacking nuts and recipe nuts that we all know and love. 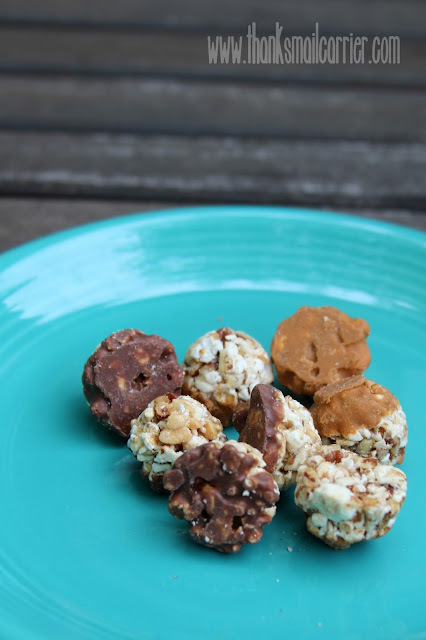 However, Fisher Nut Exactly takes things a step further as the first snack of its kind to be a combination of roasted nuts and whole grain popcorn that is rolled into a bite sized snack and then dipped in milk chocolate, dark chocolate, peanut butter or salted caramel. Is your mouth watering yet? 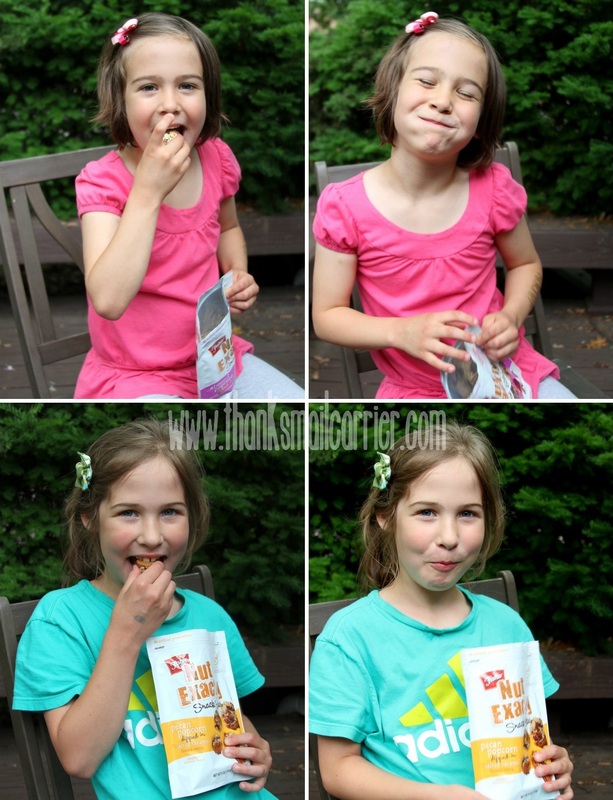 We're big fans of snacks that are both sweet and salty, so I knew that my family had to give Fisher Nut Exactly snack bites a try. But then I heard that they are also gluten free, contain no artificial preservatives and have only 15 to 16 calories per snack bite and I was definitely sold! As expected, it didn't take long after these sweet and savory little snack bites had made it out of the bag before we were hooked. They're just the right size to pop into your mouth and provide a satisfying crunch of deliciousness! Add in the fact that Fisher Nut Exactly are sold in convenient, resealable bags and they have quickly become our go-to snack of choice to pack when heading to the park, for a picnic, for road trips, and more! 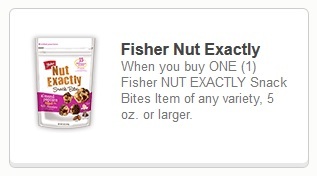 Ready to find out more about Fisher Nut Exactly and decide which of the scrumptious flavors you will bring home first? Head over to FisherNutExactly.com to find a list of the retailers nationwide that carry them. 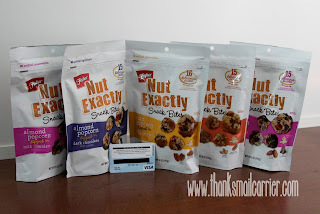 Even better, as Fisher Nut Exactly snack bites are available at Walmart retailers from coast to coast, you'll want to be sure to check out Coupons.com for a special deal on Fisher Nut Exactly snack bites at Walmart! All you have to do is log in to your account, clip the coupon and start saving! 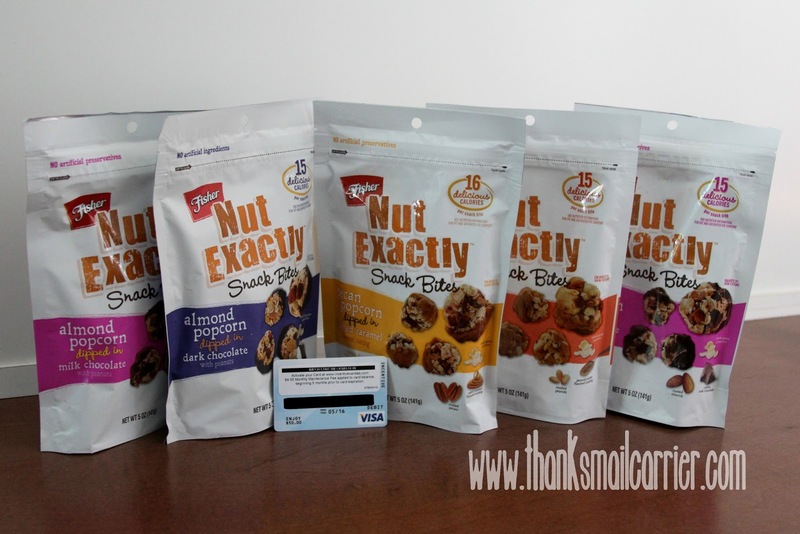 snack bites and a $50 Visa Gift Card! A big thank you to Fisher for providing a gift card and products for me as well as for one lucky giveaway winner. The opinions shared are my own and honest and if you really need to see more, click here to see how I roll.